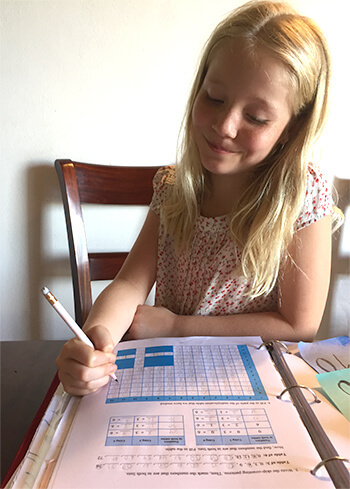 Math Mammoth offers affordable, yet quality math worktexts and workbooks for elementary and middle school (plus some supplemental materials for high school), loved by parents, homeschoolers, and teachers. All of the books are available as downloads—and most also as printed books. NEW! 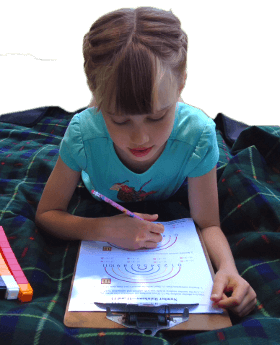 Check out the lesson plans "PLUS" versions — they include BOTH the Lesson Planet version as well as a PDF file! NEW! 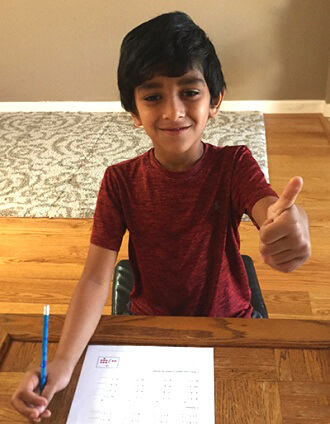 Math Mammoth Grade 5 Skills Review Workbook is now available (digital version)! 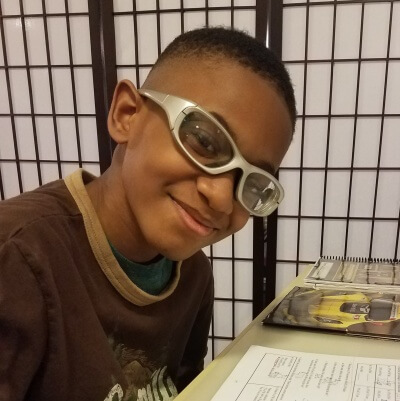 Whether you are looking for a complete curriculum for home schooling, materials to fill in gaps, or summer math, Math Mammoth has something for you! 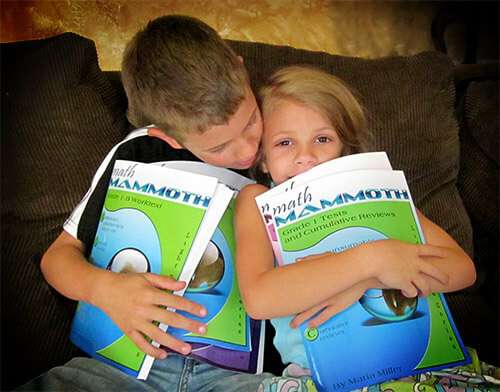 Math Mammoth Light Blue Series constitutes a full elementary mathematics curriculum for grades 1-7. It is mastery-oriented, and focuses on conceptual understanding. Mental math and number sense are emphasized. The curriculum is nearly self-teaching and requires little teacher preparation. 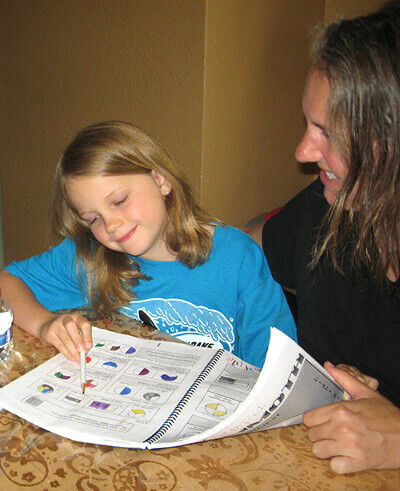 These are placement tests designed to help you determine what level of Math Mammoth is right for your student. They can also be used as generic assessments to find out what—if any—gaps the student might have. Math Mammoth Blue Series books are worktexts or units on specific topics, such as addition & subtraction, place value, clock, measuring, money, multiplication, division, geometry, fractions, decimals, ratios, percent, integers, and so on. Download over 400 free sample pages from various Math Mammoth books to check out and use! All Math Mammoth materials can be used by teachers. Find full curriculum, single-page worksheets, topical units, real-life math activities, and more. See also a list of materials aligned to Common Core, and information about school licensing.